Justin 4760. 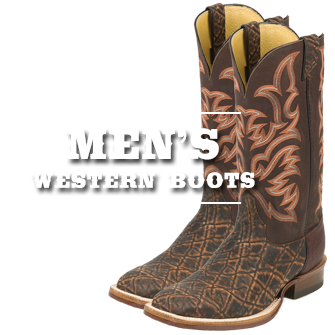 Men's Aged Bark Roper Toe Workboot. Justin 10 inch pull on work boot with a medium round toe in Aged Bark leather. 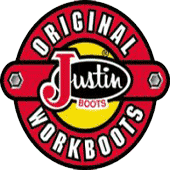 This boot has Justins Double Comfort support system. 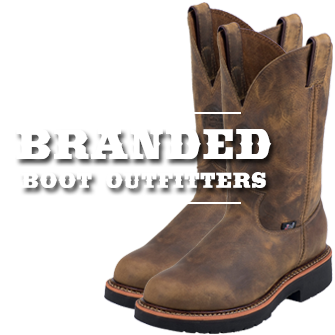 The Aged Bark leather is a premium full grain leather uppers. 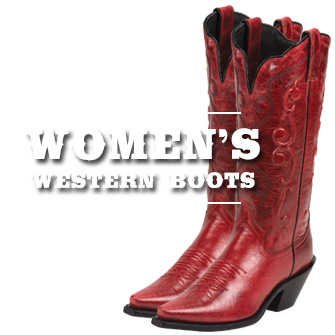 The boot has a custom insole inserts which provide maximum shock absorption and substantial arch support. 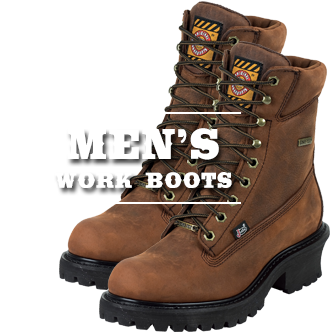 The outsole is a rugged, oil-resistant polyurethane and authentic Goodyear Welt construction for lasting durability. The 4760 has a fiberglass shank for stability. 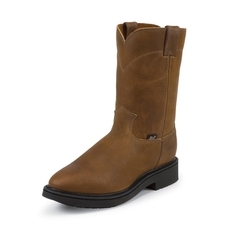 This boot is MADE IN AMERICA.